Sandra Rogers is the instructional designer and trainer at Spring Hill College. 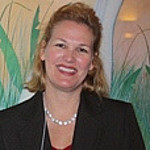 She has a doctorate in Instructional Design and Development from the University of South Alabama (USA). Her dissertation was on the use of massively multiplayer online role-playing games with language learning optimizing activities to improve English language learners' skills and vocabulary..
Sandra has a master's in teaching English as a second language (ESL) from the University of Alabama and attended Occidental College for her teaching credential coursework. She has K-12 bilingual (Spanish and ESL) teaching certification from California and elementary teaching certification from Alabama. Her college-level teaching included courses on ESL, reading, and Spanish. She has been an educator for 18 years and has taught in Brazil, Guatemala, Honduras, Mozambique, and the US in public and private settings. Before coming to SHC, she worked for the USA’s Innovation in Learning Center as a content developer, instructional designer, and trainer. Her career highlights include the following: co-coordinating TESOL’s Electronic Village Online professional development sessions, teaching as an English Fellow at a Mozambican university for the US government, teaching dual language (Spanish/English) Pre-K as a demonstration teacher for UCLA’s laboratory school, managing K-12 Spanish and ESL educational products nationwide for Hampton-Brown publisher, and volunteering for the Peace Corps in Honduras. She and her husband live in Daphne, Alabama. Sandra loves to learn and share her knowledge and experience with others. Find all of her projects by googling her moniker, Teacherrogers. Contact the instructional design team if you have a technological integration question for your online, hybrid, or face-to-face courses. See contact information in the sidebar. Open a ticket via SchoolDude Incident and select either LMS for learning management system (enrollment or technical issue with Schoology), Online Class (need help with Gradebook, etc), Surveys, or Training from the menu provided. The Spring Hill College (SHC) Help Desk is assigning these tickets to us. We endeavor to resolve your issues in a timely manner. Supports the educational technology specialist with Schoology. Supports the instructional design specialist. Instructional design (ID) encompasses a wide array of activities to improve human performance, learning, products, processes, and overall return on investments. ID includes the use of research, theory, and common sense. Instructional designers work closely with organizations and subject matter experts to solve problems, determine needs, improve outcomes, and/or find opportunities through systematic analysis and model-based approaches. For example, before producing a learning object, designers will systematically break down the skills, subskills, and entry-level skills of a learning task for analysis to inform design decisions. ID includes the full spectrum of analysis, design, development, implementation, and evaluation of a systems approach method. The instructional design process utilizes critical thinking, expert knowledge, best practices, and technologies to improve an organization either system-wide or in discrete work units. Technology refers to any tool, software or hardware, or process. 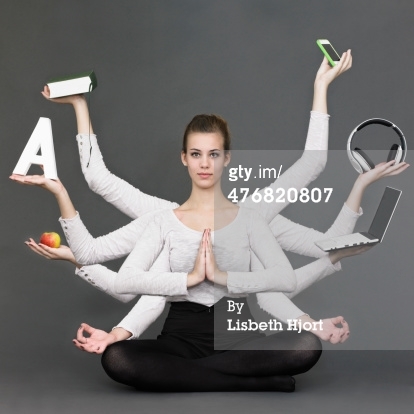 For example, simple writing tasks can be improved with an ergo-dynamic fountain pen, desk, and workstation. From this example, even a pen is considered technology. It’s the role of the instructional designer to take all matters, including potentially insignificant ones like a writing tool, into consideration when developing a plan of action for intended outcomes. Dr. Rogers wrote this definition based on her education and experience in the field. 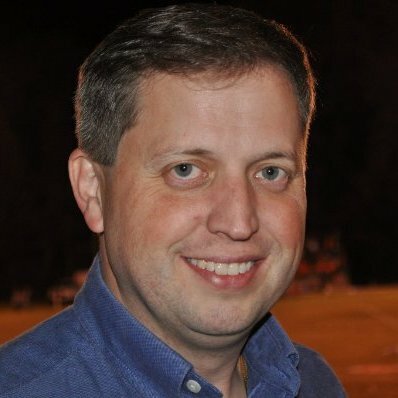 Dwight Spivey is the Educational Technology Specialist at Spring Hill College. Dwight served in the ranks of the corporate world for nearly two decades after studying computer science at USA and Auburn. He worked for XANTE Corporation as a marketing analyst and Mac administrator before moving on to Konica Minolta (formerly QMS). He held several titles at Konica Minolta, including Mac administrator, level III engineer (creating and maintaining print drivers and utilities), and product manager for KM's Optimized Print Services division. Dwight is also a published technical author and editor, having worked for publishing giants McGraw-Hill, Wiley, and Penguin / Random House / DK. Represented by Waterside Productions, Dwight has authored 18 titles, such as the bestselling How to do Everything Mac (several editions for McGraw-Hill), Home Automation for Dummies (Wiley), Idiot's Guide to Apple Watch (DK), and his most recent book, iPhone for Seniors for Dummies (Wiley). In addition to his own writing, Dwight has also edited more than 10 books for other technical authors, such as Guy Hart-Davis and Bobbi Sandberg. His technical interests include all things Apple, desktop and mobile operating systems, wearable tech, software and apps, and smart home automation. Dwight is married to Cindy, and they have been blessed with four fantastic children: Victoria, Devyn, Emi, and Reid. The family lives in Mobile, Alabama and are members of St. Dominic Catholic Parish, where Dwight is also the sitting Vice Chairperson for the St. Dominic Catholic School Advisory Board. You can find Dwight in BL208, email him at dspivey@shc.edu, or call at 251-380-3878. Quality Matters (QM) is an organization that provides rubrics and guidelines for quality online instruction. Sandra Rogers is a certified QM Peer Reviewer who is available to conduct informal reviews of your online courses. Read Sandra's blog about QM to learn about the organization, its history, and the process. The QM rubric is based on extensive literature reviews and practical application. As a Catholic and Jesuit College, we value "...highly academic freedom and peer review (AJCU, 2012)."